Grupo Hunan was born in 1993 with the opening of our first restaurant: Hunan Reforma. After years of expertise and hard work, we have grown and consolidated through the different brands that make up our portfolio. We strive to become the forefront restaurant group in the fine dining industry in Mexico and in this pursuit we offer different culinary concepts throughout our 12 international and self-owned brands, which include 19 of the best restaurants in the most exclusive neighborhoods in Mexico City as well as 1 in Cabo San Lucas, Baja California. Our restaurants gather the best of Mexican cuisine, as well as international ones, starting with Chinese and Japanese, passing through Italian and Argentinian, delighting even the most demanding palate, through a variety of dishes, beverages and desserts, combined with top of class service. Design, architecture, and atmosphere are one corner stone of our restaurants. We create settings in which our guests can feel not only comfortable and taken care of, but also where they can enjoy dishes crafted with the imagination and passion of our culinary team. This same ambience will guide guests through different surroundings and flavors into a unique and memorable experience. The following are our beloved brands and restaurants in Mexico City: Hunan, Guadiana, Costa Guadiana, Sylvestre, Prosecco, Negroni, Penny Lane, Nobu, Piano Bar, Nueve Nueve & Aida Café. In Cabo San Lucas, Baja California Sur: Hacienda Cocina y Cantina; exclusive locations where you can celebrate, share a moment or simply relax and enjoy. Just choose your favorite and we’ll take care of the rest. 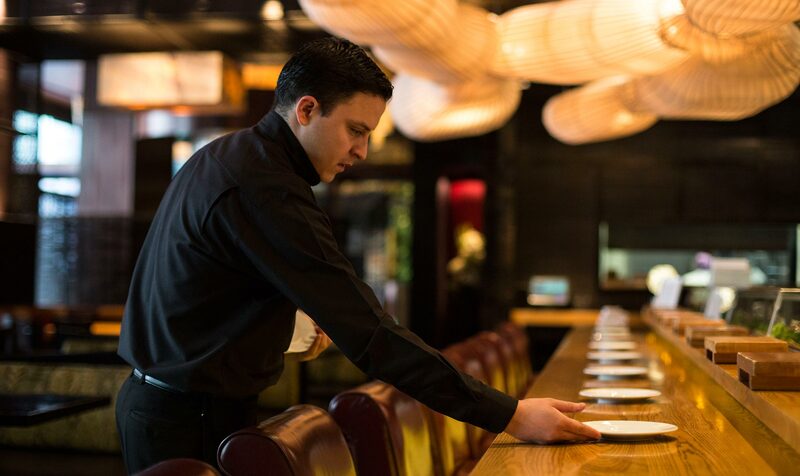 In Grupo Hunan we have experience and dedication, which translate into exceptional venues with the highest quality in dishes, where more than a restaurant we offer a state of mind.